Yellow Cab has always been part of my life since my high school days. I remember eating Yellow Cab Pizza in school every time someone celebrates his/her birthday. 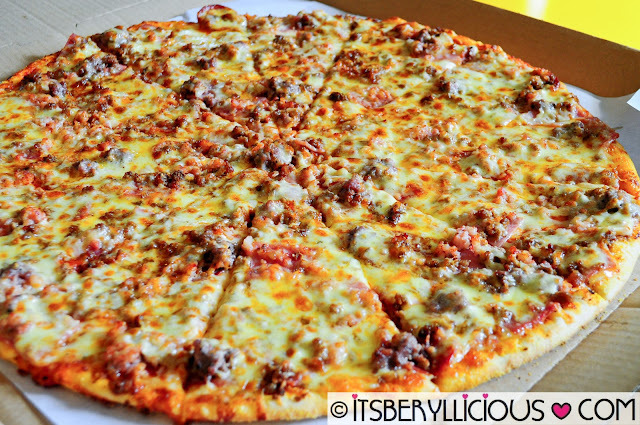 It's like a birthday is incomplete without ordering some boxes of their famous 18-inch pizza- crisscut. Fast forward to college, one special moment with Yellow Cab was when D and I finished a whole 10-inch pizza and one order of our favorite Charlie Chan. 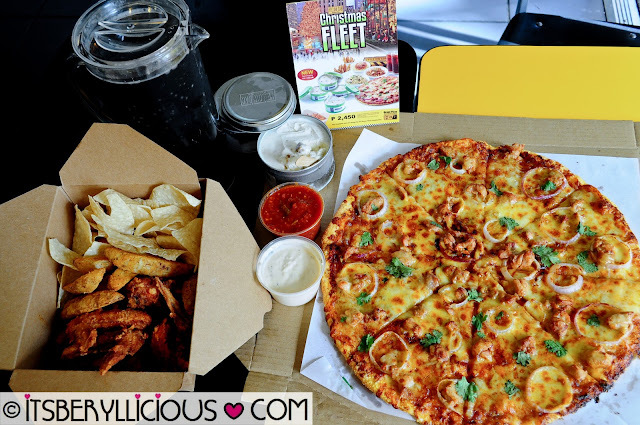 Yes, we were gluttons back then..
For me, Yellow Cab has always been characterized by happiness and joy. It was always about celebrations and gatherings be it big or small. 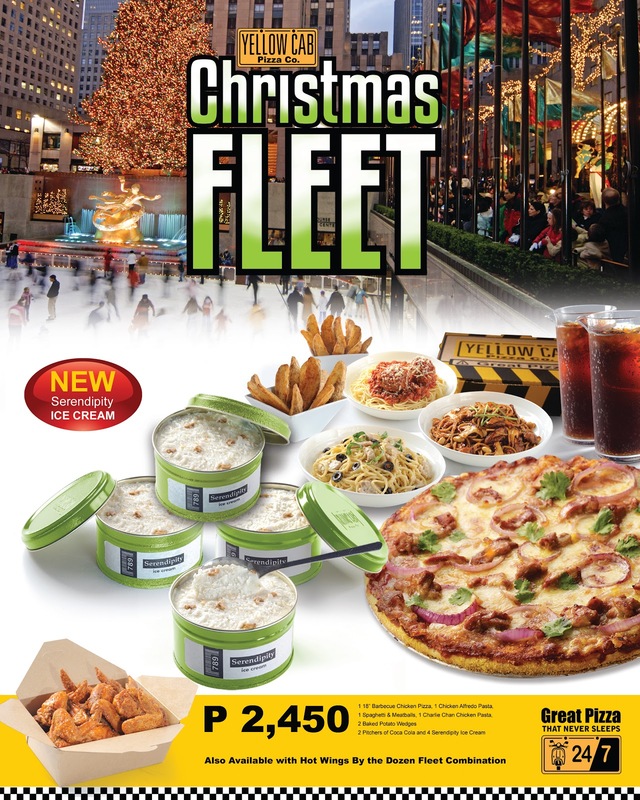 And since Christmas is just around the corner, Yellow Cab decided to bring us their Christmas Fleet to make our holiday celebrations extra special. This promo will run until Januaray 15, 2013 so better join the Christmas Fleet journey with Yellow Cab now! What's great about this promo is the option to choose between different packages good for 5 and good for 10 persons. It was my first time to try the BBQ Chicken pizza during my visit and it's officially my new favorite. I've been used to ordering the classic Manhattan Meat Lovers and Four Seasons that I seem to forget that there are other Yellow Cab pizza flavors that are worth trying out too. Now if the package good for 5 seems not enough for you, then try the Christmas Fleet Packages good for 10. From the three pasta choices of Yellow Cab, hands down my favorite is still Charlie Chan. Since I'm more of a white sauce pasta person, my second choice would be the Chicken Alfredo then the Spaghetti with Meatballs. Together with the Christmas Fleet, Yellow Cab presents their limited edition ice cream flavor called Serendipity (P140)-inspired by the best-selling cheesecake in New York. 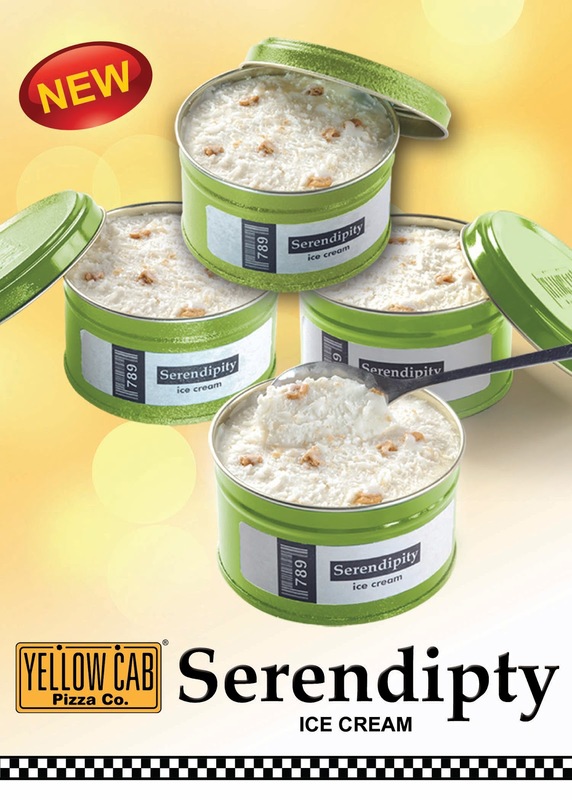 Rich, smooth and creamy with chunky and crunchy graham bits to accent every bite of this ice cream flavor. The ice cream itself was not too sweet which is a plus but the most interesting part for me are the graham bits that are just so addicting! I was fortunate to try Yellow Cab's Christmas Fleet and I must say that it was a great package. Aside from the fact that you could choose your own pizza, pasta and ice cream flavors in each set, you'd be sure you are in for a treat without hurting your pockets. 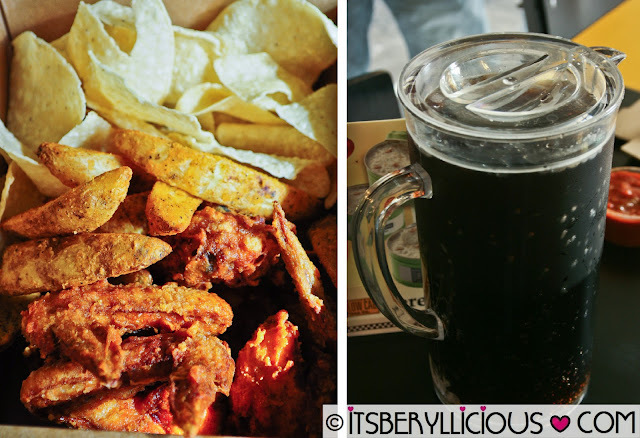 It truly feels like Christmas every day at Yellow Cab! Christmas Fleet good for 5 only costs P1,300 (P260/person) while Christmas Fleet good for 10 costs only P2,450 (P245/ person). 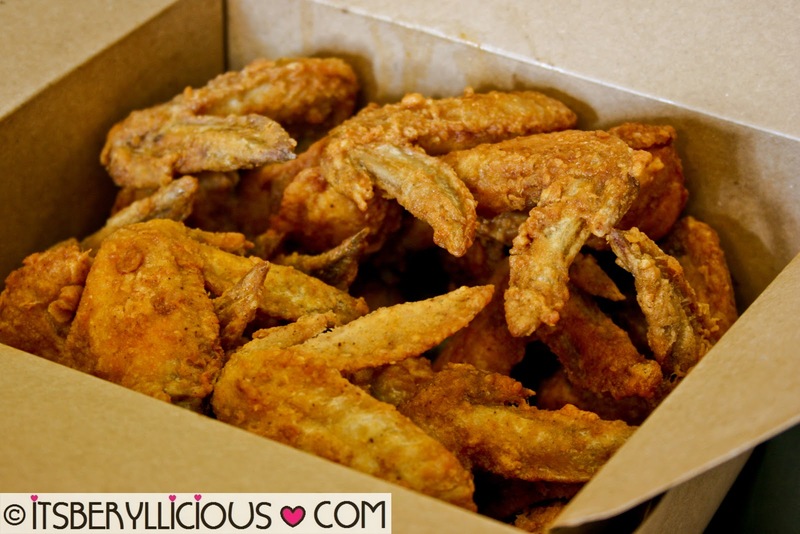 Available for dine-in, take-out and delivery. 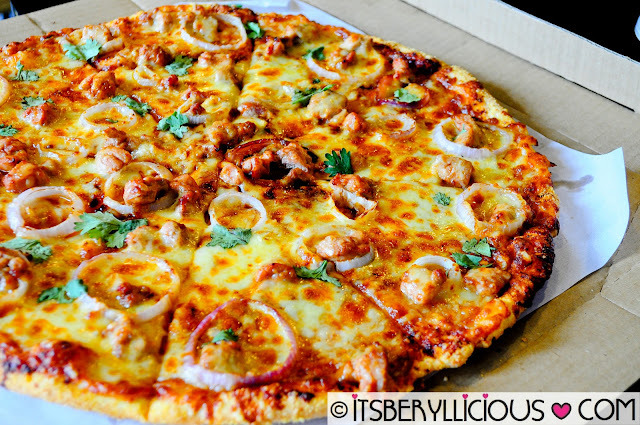 Yellow Cab Pizza Co. operates in 3 countries worldwide, with 93 branches located in the Philippines. Pizza, pasta, chicken and ice cream, that was a great afternoon, great seeing you Berryl!